Here by Popular Demand Our First New Destination for 2015 Is... Peru! You wake up and open your window to warm air and clear-blue skies. Barely a single cloud for nine days straight – not surprising considering that the city you're in enjoys 300 days of sun every year. The bus to lake Titicaca doesn’t depart for another 6 hours, but you’re already daydreaming about paddling across the vast expanse of water to visit the floating islands. As you sit down to a hot cup of Peruvian coffee and chef’s famous banana leaf tamales, you and your housemates recall the thrill from yesterday’s trip to the canyon. The feeling of hanging over the edge of the second deepest canyon in the world isn’t something you’ll forget in a hurry. 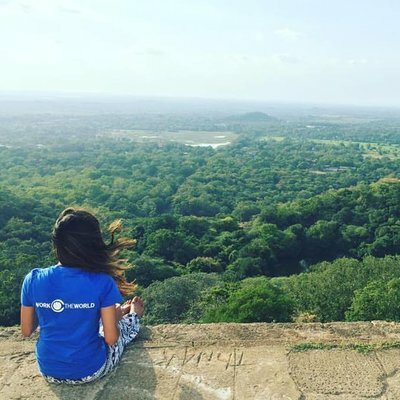 But in the back of your mind the real adventure remains. Your sights are set on hiking along the Sacred Valley to Machu Picchu. At the top, the ancient Incan city awaits. Nowhere are these things more evident than in the white city of Arequipa, where our private student house is based.Peru blends the old and the new with great creativity. Spanish colonial architecture merges with modern construction, as Peruvian tradition merges with a more familiar, contemporary way of life. All over the country you’ll find evidence of the rise and fall of civilisations, discovery and conquest, and a rapidly developing sense of a nation looking to the future. 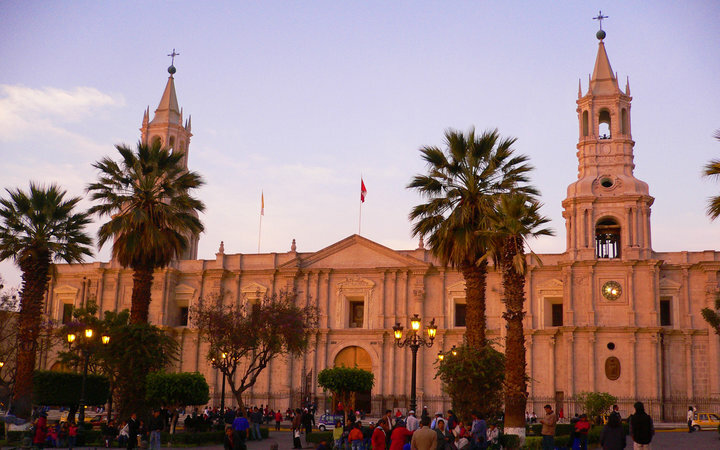 Around Arequipa, and Peru more broadly, there’s probably more to do than you’ll be able to fit in. Here are some of our top picks. Visit the villages of the region’s local people. They’ve kept up ancestral traditions, and still live an agricultural life on the stepped terraces they've created. 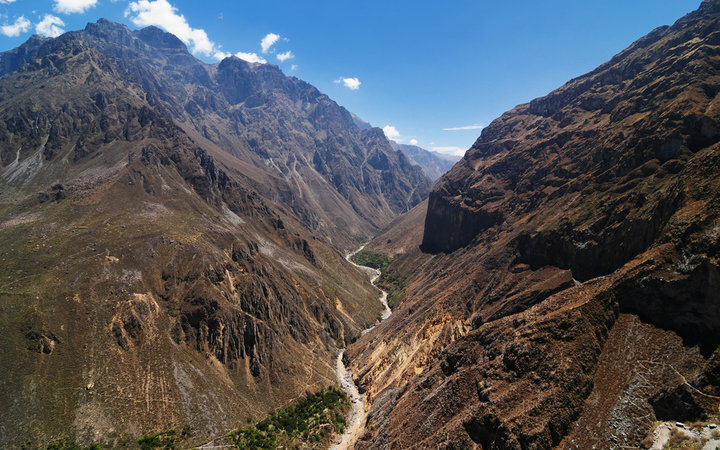 From them you’ll be able to buy crafts made from Alpaca wool.The Canyon is Peru’s third most visited tourists site and when you go it’ll be clear to see why. For starters it's more than twice as deep as the Grand Canyon! More generally it’s an area of natural beauty that will astound you. Keep your eyes out for the huge Andean Condors that can be seen flying across the canyon’s walls. Less easy to spot are the Giant Hummingbirds, although you wouldn’t guess this from their name. There’ll also be the chance for you to see 6000 year-old rock art that tells the story of the domestication of the alpaca. The prize at the top is an incredible panorama that even your imagination couldn’t generate.Climbing a volcano is no walk in the park. But Mt. Misti has a well-trodden path that allows novice hikers to make the ascent. At 5825 metres this isn’t a short climb. 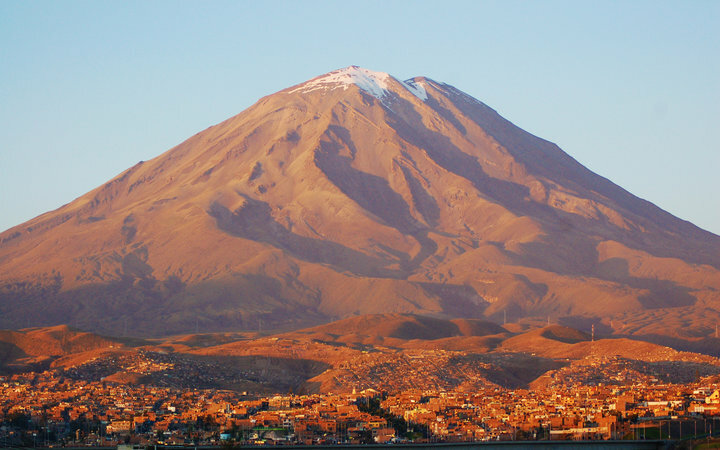 But walking up the slopes you’ll come to understand the reason the people of Arequipa, or ‘Arequipeños’, decided to settle here; the ground is a rich and fertile with volcanic ash. When you reach the summit in time for sunrise you’ll see the city lights begin to flicker out. Once the sun is firmly in the sky you’ll see untouched mountain landscape for hundreds of miles in every direction. Titicaca - the biggest lake in South America - lies on the border of Peru and Bolivia. It’s also the world’s highest navigable lake at 3812 metres in altitude.Lake Titicaca is where the Incas believed the sun was born. The sheer immensity of this body of water is enough to stagger even the most seasoned traveller. The lake is so large that if you wanted to make your way around its edge, walking for 6 hours a day it would take you around 4 weeks! On the lake’s waters you’ll find 44 floating islands. 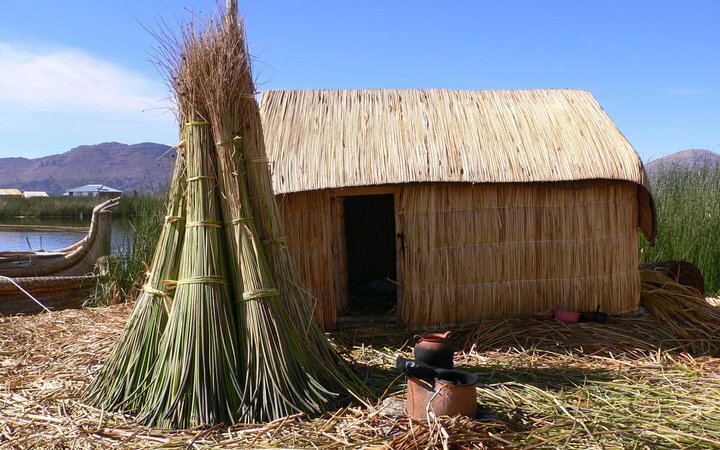 The local people made them from totora reeds so that they could be moved to the lake’s centre should a threat arise. To give you an even better idea of the lake’s size, there’s also a natural island called Amatani on which 4000 people live. It's a world of its own. After spending a couple of days acclimatising in Cusco you’ll head straight up into beautiful mountain scenery. You’ll pass through cloud forests, subtropical jungles and deep green valleys along the way.This is undisputedly one of the most famous hiking trails in the world. Taking 3 – 5 days to complete it’s a serious undertaking, but one absolutely worth the time. 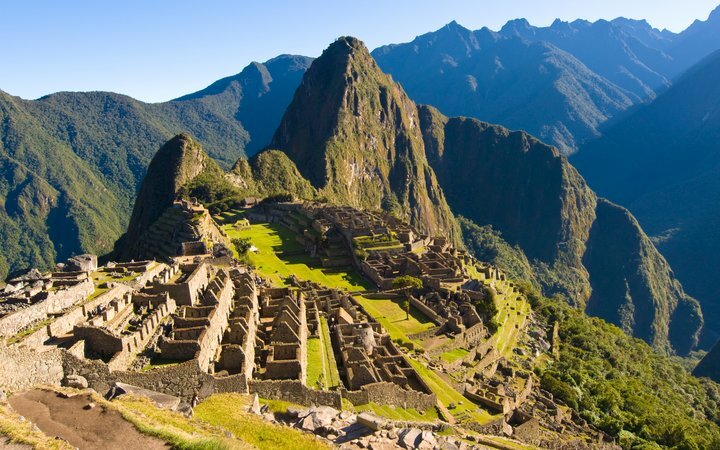 Your path will be peppered with a number of Incan ruins and famous landmarks too. Llactapapa, an old ceremonial site, the Sacred Valley running along the Urubamba river and at 4,200 feet Dead Woman’s pass is to name but a few. At the end of your trail you’ll reach the treasure – Machu Picchu – a long surviving Incan mountaintop residence that most archaeologists believe was a retreat for Incan royalty. The views in and around the Machu Picchu complex are the ultimate reward for your efforts. 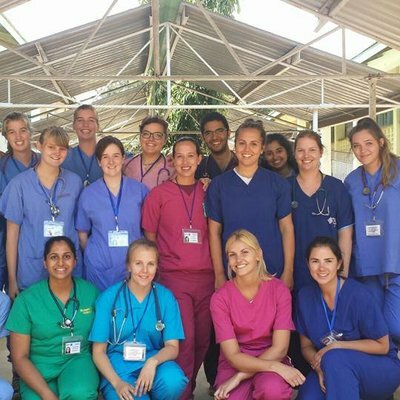 We’ve put serious time into building our knowledge of Peru and working with Arequipa’s hospitals and clinics to bring you highly tailored healthcare elective placements. 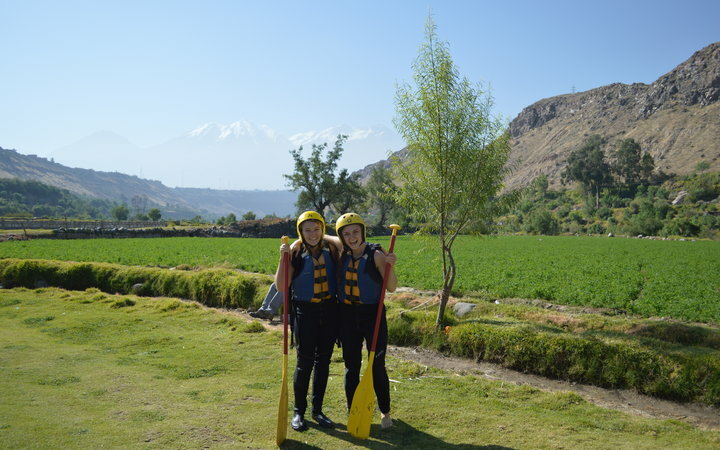 As with all of our destinations Arequipa has been specifically selected not only because it’s a beautiful city, but also because the professional experience it offers students is impeccable. We’re happy to announce that through our partner hospitals and clinics in Aprequipa we can offer our full range of disciplines.